Non-Profits are driven by people seeking to make a positive impact in the community. Our core values of Integrity, Communication & Urgency work to ensure that "on time, on target and on budget" drive no surprise endings, and allow our local community to benefit from careful resource stewardship. Our Thrive Grant is dedicated to helping Non-Profits of all shapes and sizes go beyond survival and affect the community we live in. Say good-bye to Surviving, and hello to Thriving. We believe that non-profits should be given the opportunity to thrive and reach communities in desperate need. Even If your budget is small, and your goals are simple, people need people willing to go the extra mile and do what they love. 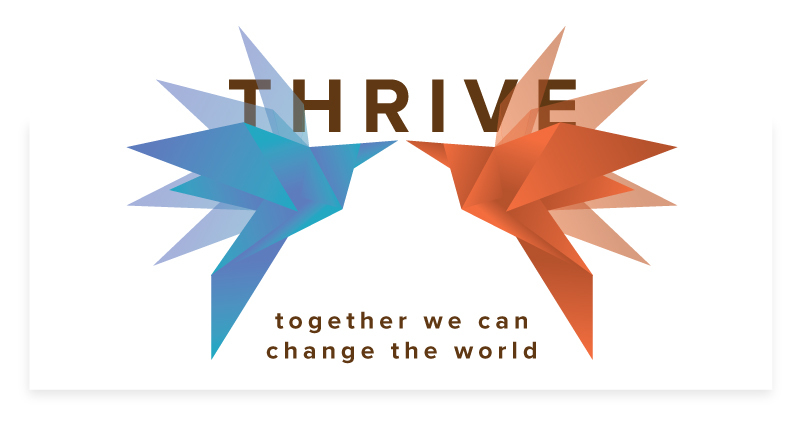 Our Thrive Grant is designed to help your non-profit reach people, find new avenues to connect communities and grow your services to create a more beautiful, supportive and inclusive community. Learn what makes our Thrive Grant unique. The digital landscape is ripe with opportunity to spread your mission. We begin with a consultation designed to evaluate your organization's needs & unique challenges. Together we can discover new opportunities to not only improve your workflow but incorporate a website & digital presence into your organization's goals. Your non-profit mission deserves a digital strategy to help reach new audiences and achieve goals while keeping maintenance easy. We walk you through solutions based on industry best practices to meet short-term needs and plan for a thriving future. We carefully consider Return on Investment and Time to Value for all aspects of our strategies. Know exactly what you are going to pay. EvenVision is dedicated to clear, comprehensive, and itemized quotes for your project, designed to honor your budget. Eliminating surprises helps keep your website from swallowing precious funding for other goals and objectives. People need to be able to find your non-profit to get help. Our websites are built with industry-leading SEO tooling, allowing you to be found by the community in need. Additionally, we can further your Search Engine Optimization, helping you grow to new, strategic, geographic zones. Mobile searches account for 60% of all traffic. Websites built by EvenVision always adhere to mobile-friendly, responsive web design. No matter what device people reach you by, you should always put your best foot forward, giving people the confidence to reach out and know they are in good hands. Empowering you to drive forward. We provide comprehensive training and documentation allowing you to make updates to your website with ease. EvenVision offers stress-free maintenance plans, meaning you never have to worry about your website going down because of a server somewhere. Know the value of your website. It's important for your non-profit to understand the true value of your investment. We tap into comprehensive analytics to help you interpret and understand the areas that are a success and the areas that need improvement. We use data to drive decisions for your non-profit, to help make it a success. Never feel alone. Your mission is our mission. Our team is dedicated to the success of our clients who work to make the world a better place. We offer ongoing proactive support to help your non-profit thrive and push the boundaries of what's possible by tapping into our team's extensive experience to reach beyond your goals every month. How Do I Qualify For The Thrive Grant? There are no strict boundaries on our Thrive Grant, as every Non-Profit's mission and situations differ. If you have a need and seek to make the world more beautiful, supportive, and inclusive, simply fill out our form below and we'll be in touch to talk about your unique mission, goals, and the people you as seeking to serve. Let us know a bit about your Non-Profit Organization, we are here to help you thrive.